What is biological control? 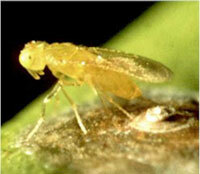 - Biological Control in the Western U.S.
W3185 Biological Control in the Western U.S. 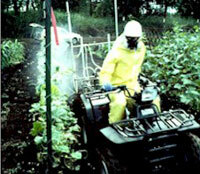 The term “biological control” has been defined in many ways by various biologists. The earliest definitions of biological control focused on the use of predators and parasitoids (i.e., parasites of insects) to control another organism. The “father” of modern biological control, Professor Harry Scott Smith, defined it as the use of natural enemies (whether introduced or otherwise manipulated) to control insect pests. Other well-respected biological control workers have provided their own definitions. Later, Dr. Robert van den Bosch referred to biological control as the "manipulation of natural enemies by man to control pests" and natural control as "control that occurs without man's intervention." Biological control can be used to regulate numerous types of organisms including insects, mites, spiders, snails, weeds, trees, fungi, algae and even animal by-products (i.e., cattle dung). Natural enemies that control plants are actually highly specific plant feeders (i.e., herbivores). Even pathogens of organisms are used that cause fatal diseases (e.g., milky spore disease of the Japanese beetle). Biological control is often referred to as “biocontrol” and among researchers in the field it is often shortened to “BC.” The major emphasis of W2185 scientists is the control of insect pests and weedy plants. The actions taken to increase the populations or beneficial effects of natural enemies (e.g., mass releases of Aphytis melinus for California red scale control). As with most scientific fields, there are different interpretations of the boundaries of a field of study. Many scientists have expanded the definition of biological control to include the management tactics of host plant resistance, genetic techniques for insect control (e.g., sterile insect technique), insect growth regulators, some cultural controls, and transgenic plants (e.g., Bt engineered plants). However, the scientists associated with W1185 are not supportive of these latter definitions and focus on the living interaction between the target organism and the natural enemy as the essential component that defines the concept of biological control. 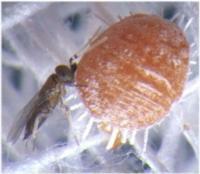 Under optimal conditions, biological control agents “regulate” the population sizes of their target pests. This is not so with the other control methods mentioned above. 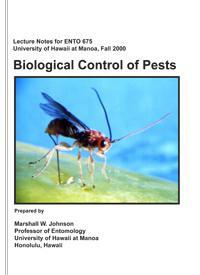 More detailed information on the field of biological control is available within the class notes provided by Dr. Marshall W. Johnson (taught at the University of Hawaii at Manoa). Regional biological control committees in the U.S.